DVD-R, 120 minuti, 4.7GB, Inkjet, Printable, White, in cake o wrap, Medical CD. CD-R, 80 minuti, 700MB, Inkjet, Printable, White, in cake o wrap, Medical CD. 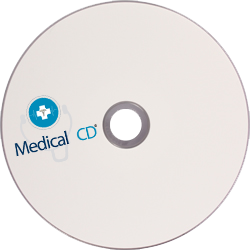 CD-R, 80 minuti, 700MB, Thermal, Printable, White, in cake o wrap, Medical CD.